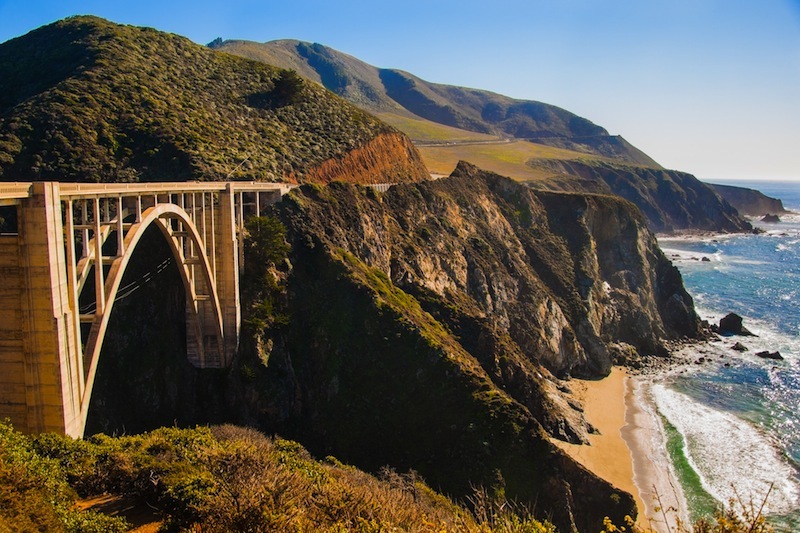 There are a few moments in life that leave a special imprint on your memory and cruising down the Pacific Coast Highway – the quintessential American road trip known for its stunning views – was definitely one of those unforgettable experiences. 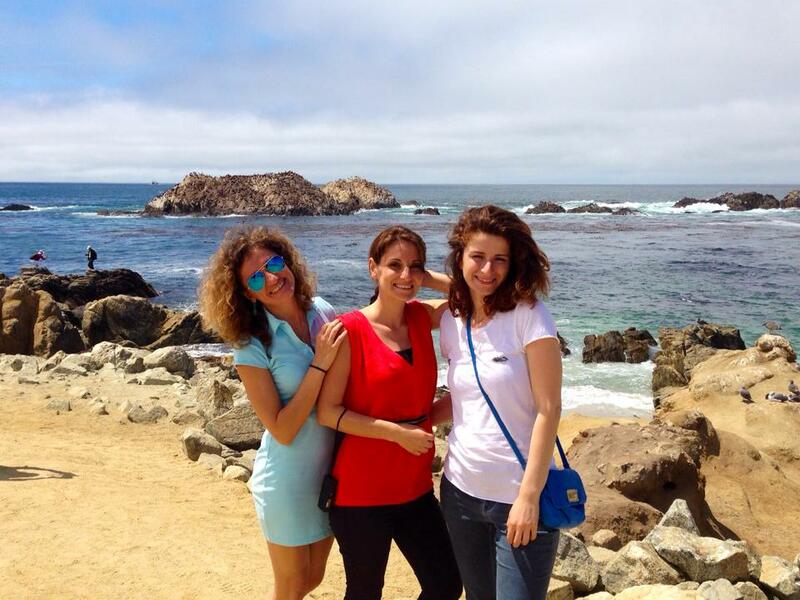 To soak up the splendor of the Golden State, we booked a private tour that provided us with an exhilarating itinerary which included a drive through San Jose and Santa Cruz, and lengthy stops at all major scenic hotspots of the coastline. Perched on a cliff on the central California coast, 50 miles south of San Francisco, the 115-foot Pigeon Point Lighthouse is one of the tallest lighthouses in America and has been guiding mariners since 1872. Turns out the headland, and hence the lighthouse, took its name from the ship Carrier Pigeon that wrecked here in 1853. The coastal areas surrounding Pigeon Point Light Station are rich with life. The guide told us that this is a popular spot for whale watching, and a convenient base for exploring nearby coastside communities as well as the ancient redwood forests at Butano State Park, the bird sanctuary of Pescadero Marsh, and Año Nuevo State Reserve, breeding site of northern elephant seals. Even in a foggy weather this place is enchanting. We also learned that Pigeon Point has become famous among birders as one of the finest vantage points for observing seabirds anywhere on the California Coast. Its accessibility, geography (located immediately to the north of bird-rich Monterey Bay) and the presence of deep ocean waters very close to shore combine to produce excellent birding possibilities. TIP: Half hour guided history walks around the lighthouse grounds are available 10am to 4pm Thursday through Monday. You can also spend a night at the Pigeon Point Lighthouse Hostel, which offers comfortable, affordable lodgings in four houses set just beside the lighthouse. They even claim to have a hot tub with panoramic views of the Pacific! This little fishermen’s town was originally the state capital of California, and is rich in history. 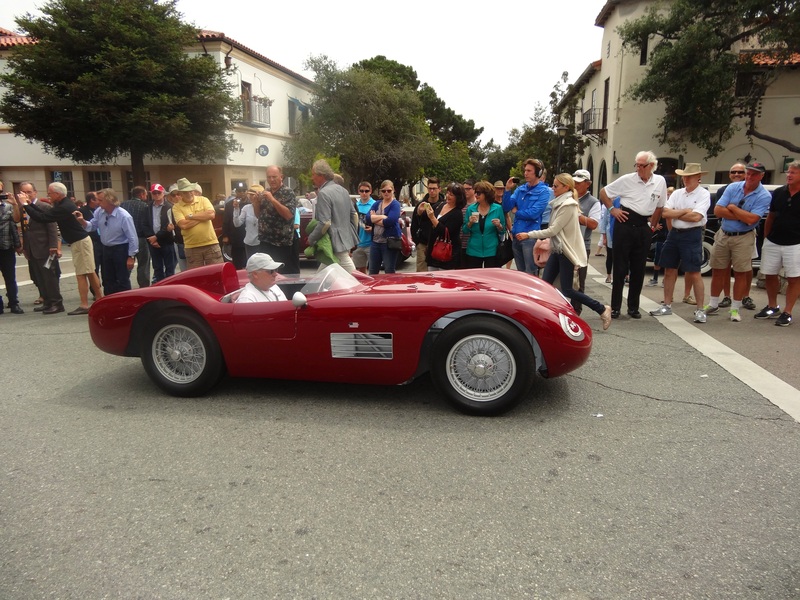 Today it is best known for its beautiful historic waterfront district, world-class aquarium and from the many John Steinbeck novels set there, including Cannery Row and Tortilla Flat. The town would be a perfect weekend getaway as there is no shortage of things to see and do for a day of fish, fun and sun! Enjoy the Monterey Bay Aquarium to observe over 500 species on display including sea turtles, stingrays, sharks, jellyfish and much more. It’s noteworthy that the Monterey Peninsula has the largest population of sea otters on the California coast. The abundance of marine wildlife visible from the shoreline is one of the primary attractions of the region. Tip: Entry costs $39.95 for adults & the facility is open daily from about 9:30 a.m. to 6 p.m..
Stroll along former fish-packing plants along Cannery Row. Now a bustling tourist destination, Cannery Row was once an industrial area with working canneries lining the street. Enjoy the history and ambiance of the old buildings that are now shops, restaurants and boutique hotels. You’ll find everything from souvenir shops to candy stores and art galleries here, along with plenty of options for fresh seafood from dozens of restaurants. The best way to get back to Cannery Row’s roots is to take a trip to the Cannery Row Antique Mall. Housed in an old canning company building, the mall is filled to the brim with Steinbeck-era trinkets. There is also the small McAbee beach, which affords gorgeous views of Monterey Bay. Relax at the touristy Old Fisherman’s Wharf with a sourdough bowl of hearty clam chowder. This touristy harbor-side neighborhood affords panoramic views of the bay, not to mention the seals that sunbathe on the nearby rocks and buoys. 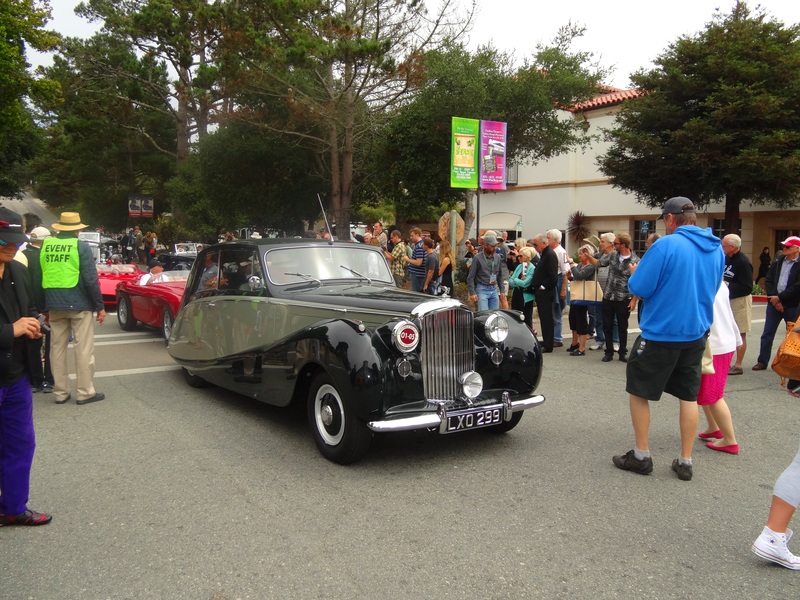 This scenic road through Pebble Beach and Pacific Grove on the Monterey Peninsula in California offers the sea-and-spray beauty and gazillion-dollar homes and celebrated Pebble Beach golf courses. Tip: The cost for entering the route is $10. Don’t forget to stop at the wind-carved Lonely Cypress that has stood perched on top of the wave-battered bluff for more than 250 years. This stunning western icon has been called one of the most photographed trees in North America. We also made a stop at the luxurious The Lodge at Pebble Beach by Pebble Beach Resorts where we enjoyed a refined atmosphere of classic elegance. With streets straight out of storybooks, this idyllic and charming hamlet makes you sigh at every turn. 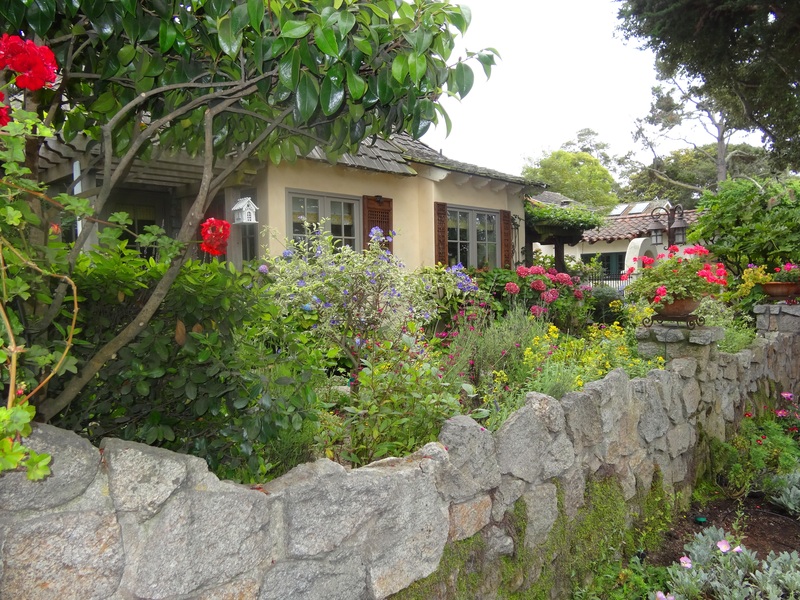 Enchanting architecture of Carmel-by-the Sea is bound to impress any visitor. 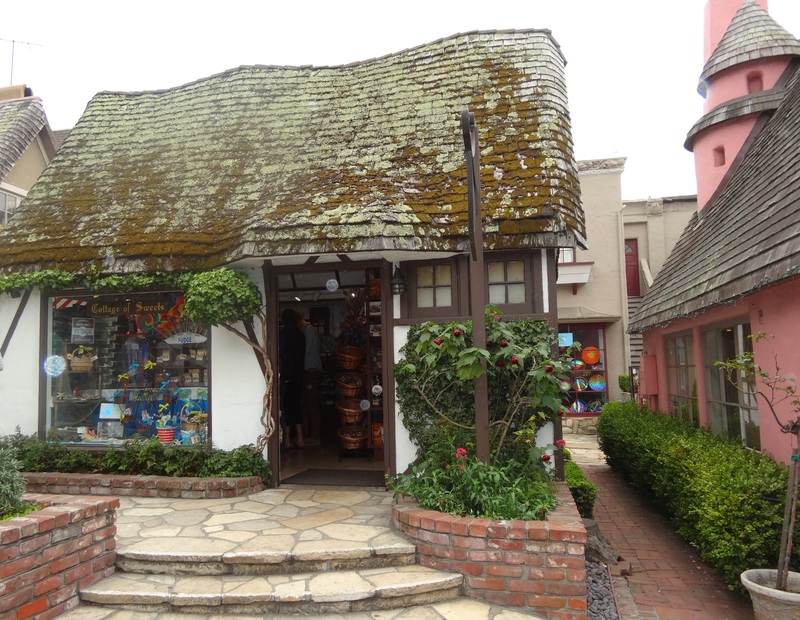 The classic image of Carmel is framed by the architecture of Hugh Comstock whose wife, Mayotta, made and sold rag dolls that she named “Otsy -Totsys”. When her dolls outgrew their home, she asked Hugh to build her a Doll House to use for her sales and as a showroom. And so in the 1920s, Hugh designed cottages after the style of an English village, complete with rolled eaves, rounded doors and asymmetrical stone chimneys. Thus “Comstocks” became the signature style of the Carmel cottage. There remain 21 of Comstock’s original cottages standing in Carmel today. Every cottage carries individual name. This one e.g. is Obers. Photo credit Linda Hartong. Cottage Hansel. Photo credit Linda Hartong. Gretel. Mind the cute little name tag on the door! Photo credit Linda Hartong. The local post office continues to serve as a social hub for residents retrieving mail from post office boxes, while those seeking directions receive hints such as “fifth house on the east side of Torres Street, blue trim, driftwood fence” or by the legendary names adorning most houses, such as “Periwinkle” or “Sea Urchin.” It is, by the way, considered to be bad luck to change the original name on a Carmel cottage. 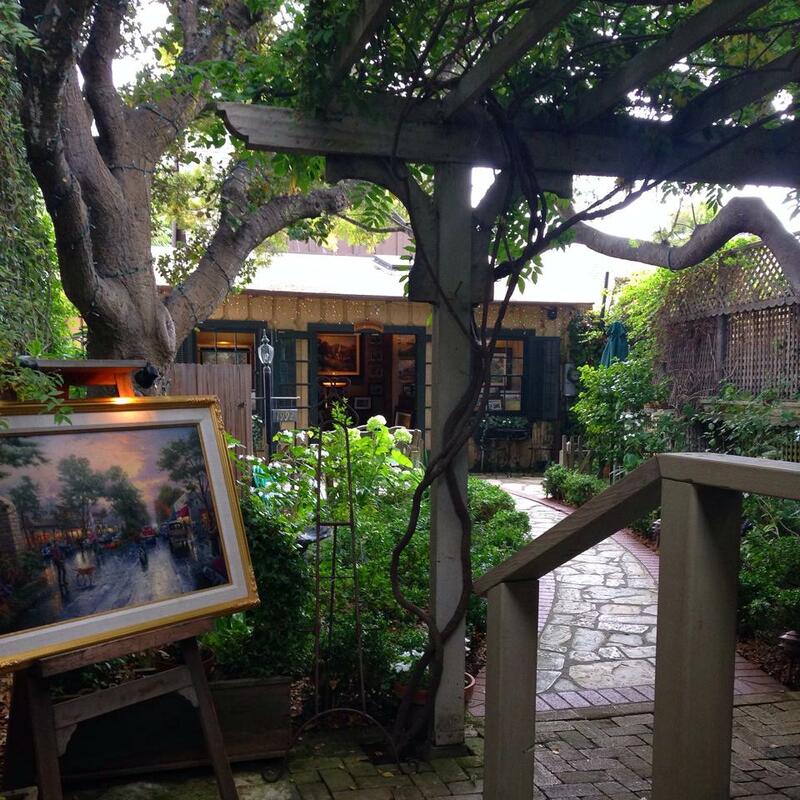 Time permitting it would be a really fun activity to browse the streets of Carmel in pursuit of all 21 cottages! If you decided to venture out and find them all, the California Visitors Center on San Carlos between 5th & 6th will give you a list with their locations. The town strikes with its luxury and wealth. Wander along upscale gallery-lined streets, cozy gastropubs, and even cozier inns that cater to its wealthy residents (like Clint Eastwood). 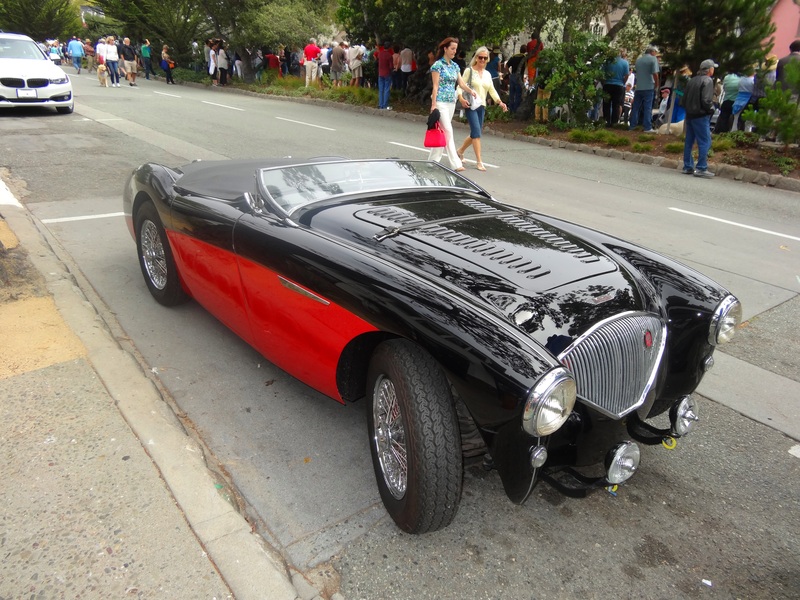 You’ll find most shoppers and diners around picturesque Ocean Avenue, which leads to Carmel Beach. We lucked out as there was a parade of vintage cars on the day we were visiting which made the Ocean Avenue a busy yet amusing spot. Interesting fact: Carmel is also known for several unusual laws, including a prohibition on wearing high-heel shoes without a permit, enacted to prevent lawsuits arising from tripping accidents caused by irregular pavement. As always there is something left behind that you are not able to do or see during the trip. One of these was driving further down the Pacific Highway to explore Big Sur and stop by the iconic Bixby Canyon Bridge. 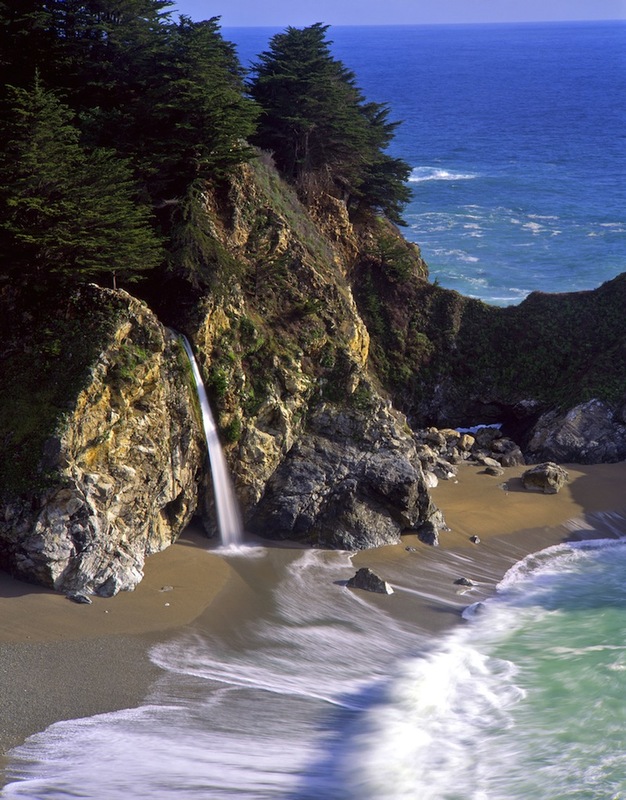 Judging from all the photos I have been admiring for years, Big Sur offers stunning coastline, forests of giant redwoods, sun-soaked canyons and wildflowers galore. Its landscapes have even inspired authors like Ferlinghetti, Steinbeck and Kerouac. Hopefully one day I will get back to explore this central California wonderland. I also hope I inspired you to visit this picturesque part of California. 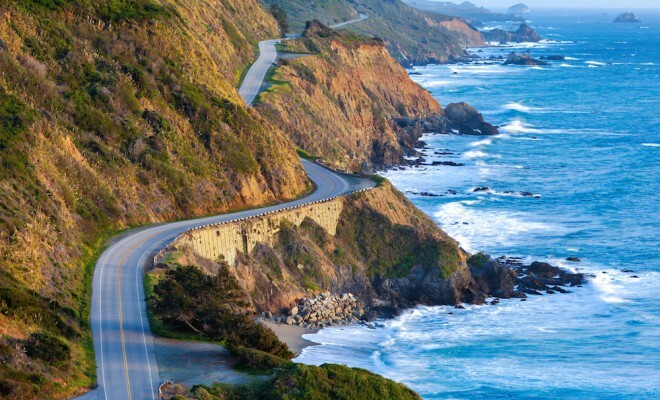 Have you driven along the Pacific Highway coastline? Which spot inspired you most? Catch up on part one of my California travel series featuring San Francisco must-see attractions here; part two of our tipsy adventures in California’s wine country here; and part three showing wonders of Yosemite National Park here.